There’s a day when the tweens in your life start to really rip down the trail and you realize that it’s hopeless to ever catch them again. It’s also at this point that you decide to commit to helping them foster a lifelong passion and buy them a good bike. We love our kids and providing a mountain bike that can handle the rigors of long-term and agressive riding is key to ensuring that they continue to love the sport. The only problem at the tween age is finding a good bike that fits. The average 12-year-old boy stands at around 58 inches ~ 4’ 10” while 12 year old girls are, on average, about an inch taller. They are almost the size of an adult but still have a few years. Luckily, some builders offer extra small frames that fit both small adults and growing adolescents. Some of these are youth-specific bike with others are women’s specific models that will also work great for 12-year-old boys and girls. 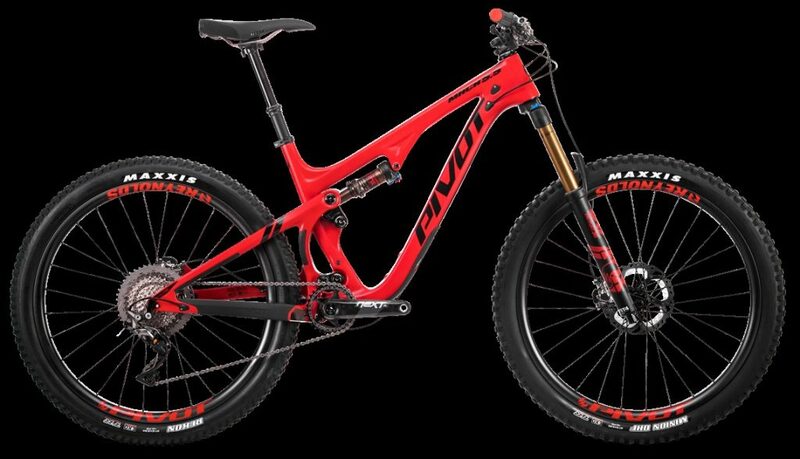 Pivot Cycles has the 27.5 Les, Mach 4, Mach 5.5, Mach 6, and Switchblade frames that are all produced in an XS frame size. With so many options, there is a choice for every type of riding. The pint-sized person in your life can race full-on cross country with the lightweight hardtail (the Les) or the cushier, suspended Mach 4. 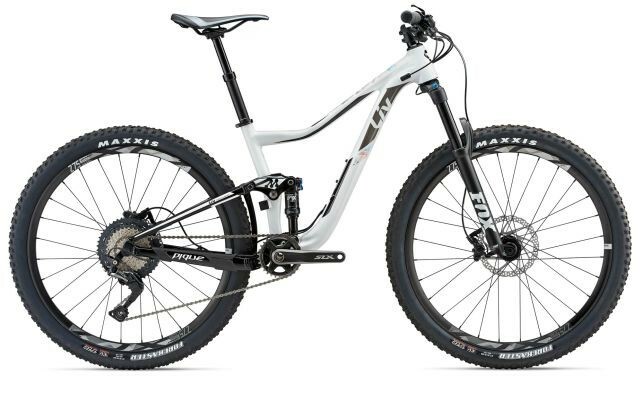 The other three frames offer top-end trail/enduro bikes that satisfy a wide range of riders. It’s impressive to see such an offering from one brand. Being a Pivot owner, I certainly have a bias and love my older Mach 5.7. I know from personal experience that the DW link suspension offers nimble climbing and riotous descending. I would love to have the Firebird model myself and I am sure some XS sized riders would love that frame as well. Hopefully, Pivot can figure out how to shrink that one down for future offerings. The Fire Mountain is an entry level mountain bike that checks all the boxes for safety and quality, and most importantly, fun. Kona builds rad bikes and the extra small version of this model comes with 26-inch wheels to accommodate smaller riders. 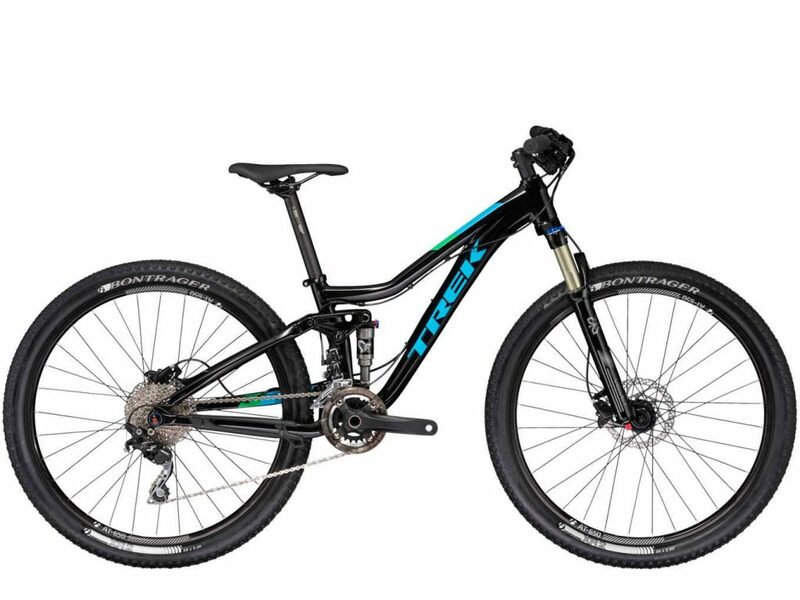 A SR Suntour fork manages suspension duty and Tektro brakes provide the stopping power necessary to keep your tween from clipping trees as they fly past you down the trail. With a quality build, lifetime warranty and price point that leaves extra in the wallet, the Kona Fire Mountain will leave your budding NICA racer with a big smile. 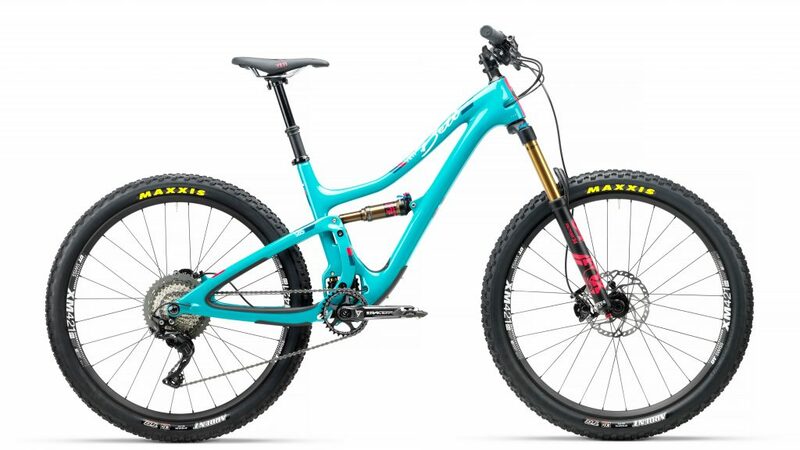 The Yeti Beti SB5 is designed with smaller riders in mind. A low standover height, short chainstays, and short stem combine to make this a comfortable ride for pint-sized rippers. The carbon frame keeps the bike light enough to handle efficiently, while 150mm of travel provides a plush ride. The Swiss are renowned for making quality products and the Speedfox is no exception. This extra small frame will fit preteens and small adults down to 4’11”. With Fox suspension, a Shimano drivetrain and brakes, DT Swiss wheels and a nice mix of remaining components, this bike delivers. At around $3K, this is a real bike worth a real investment which will also hold a decent resale value once that preteen grows too big for it. Trailcraft is a builder that specializes in providing quality kid’s mountain bikes. These bikes are fun, well thought, and designed to endure the punishment trail riding can give our beloved steeds. With body-size-specific designed components, like many other kid-specific brands, this bike will fit and keep your height challenged acquaintance rolling with comfort and ease. 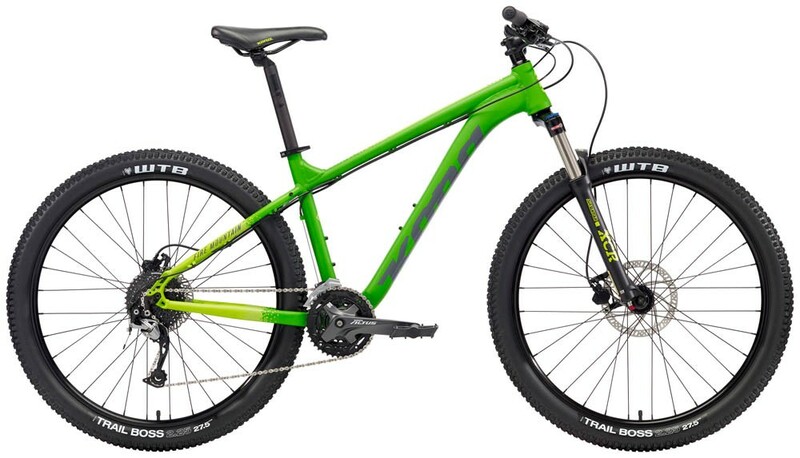 Various builds from a bare frame to a full XT group offer several options. We listed this with one of the mid-range builds keeping the price under $3K. 12-year-olds on 5” of travel front and back? Yes please! 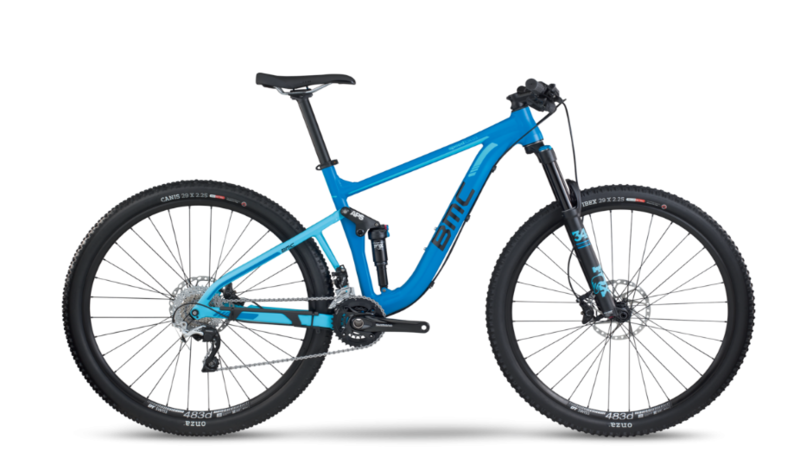 The EX Junior mimics the larger, adult version with 90 mm of travel and a beefy frame for pedal-driven preteens. If they can muscle the nearly 30-pound bike up the mountain then it may be alright, but there are definitely other options in a much lighter package. The decent Bontrager components matched with a Shimano drivetrain and brakes will get the job done. 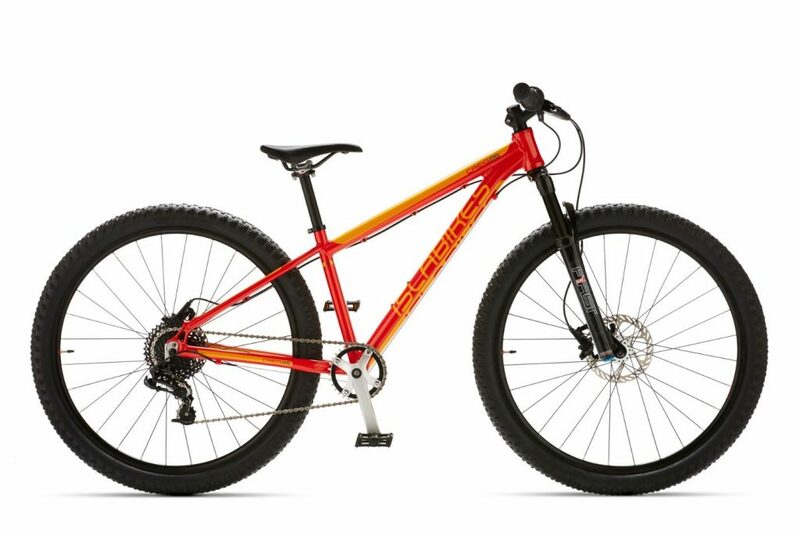 This may be a decent downhill bike for the age group but big climbs will definitely be more challenging for a 12-year-old due to the weight. While almost all the other bikes listed here have 26 wheels the Pique 2 has 27.5 inch wheels. This might be a deterrent for the little riders in our lives who can’t quite handle the wheel size, but they also will typically grow into a bigger bike and the larger wheels might extend the temporary life of the bike. With in-house Giant-branded components, Maxxis tires, a Shimano drivetrain and brakes, and Fox suspension, this is a lively bike that can rip singletrack. The Liv brand is designed for women, but the decals are appealing and the fit is perfect for 12-year-old boys too. 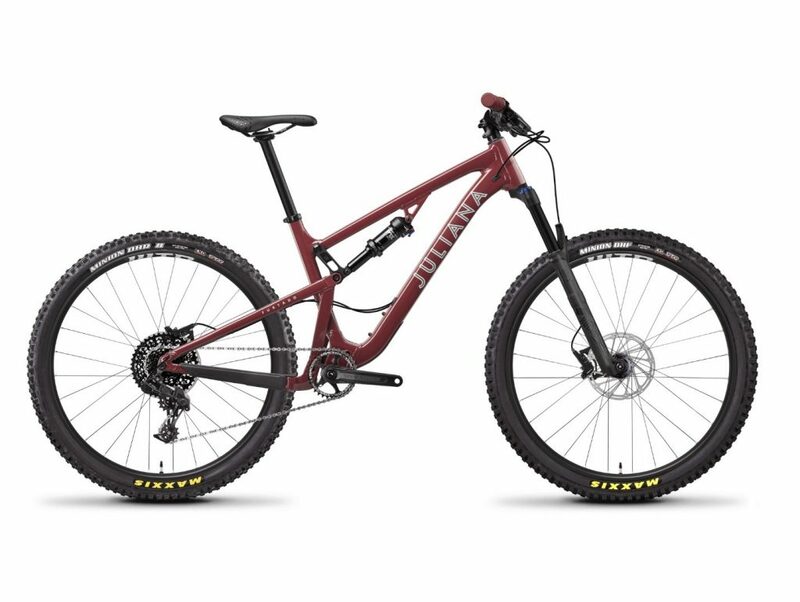 Santa Cruz has long been a contender in the mountain bike industry and their ladies brand, Juliana, offers the same quality and robust builds with VPP suspension and stunning looks. A SRAM drivetrain and brakes, paired with a variable mix of components, keeps this aluminum version affordable. For an extra small frame, it does come with 27.5 wheels, but 26 wheels can be used. Versions of the bike vary between aluminum and grades of carbon with standard size wheels up to 2.8 plus wheels. A versatile trail bike, preteens in need of a sweet whip will be ever grateful. Frog is an outstanding “kids” brand that offers a wide variety of models ranging from high-end road bikes to mountain bike and track bikes. The MTB 69 is a mid-size 26” bike that will fit kiddos ranging from about 10 to 12 years old. 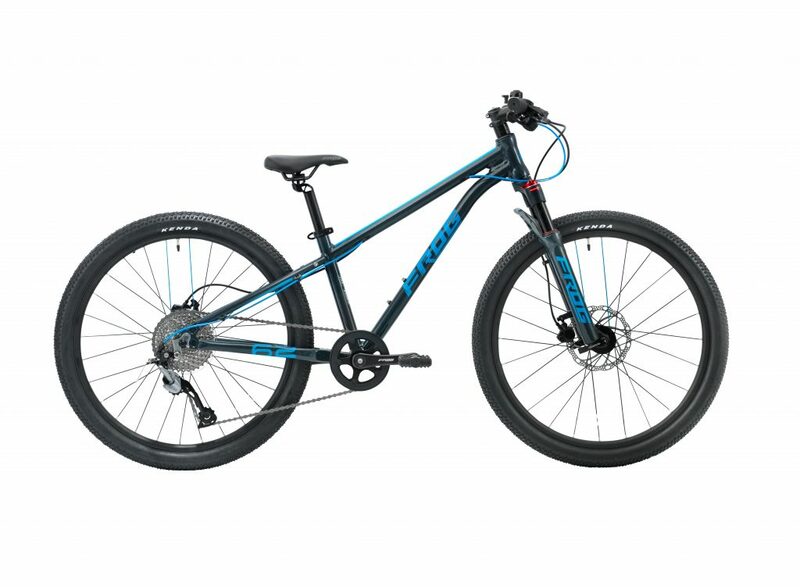 Kenda tires, Tektro disc brakes, a Shimano drive-train in addition to a myriad of in-house components provide a solid hardtail offering a quality build for your tweens. The brand truly pays attention to detail with features like the two off colored spokes marking the tire valve. 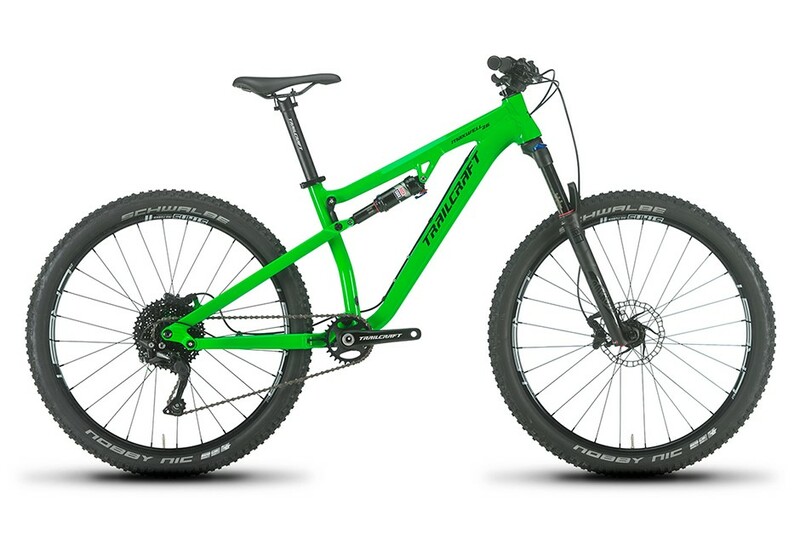 As is the current trend with many other brands, Frog has a direct order business model making it easy to obtain one of these sweet whips here in North America and there are shops carrying their frames as well. 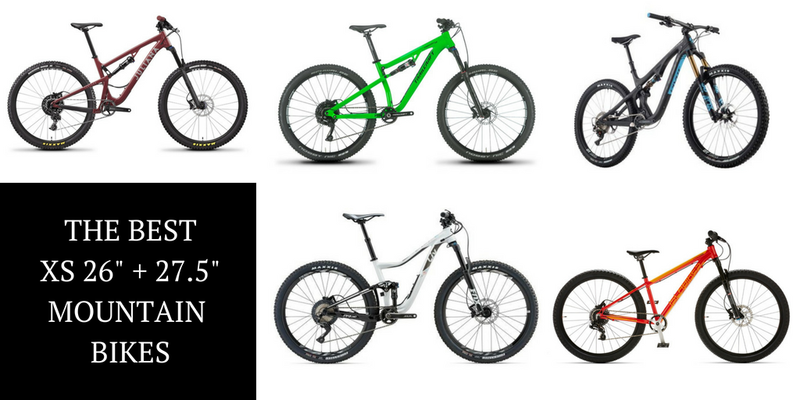 Learn more about the Frog MTB line. Another of the “kid specific” brands, Islabikes builds beautiful rides that fit small riders. The Creig 26 is comprised mainly of in-house components which are paired with a SRAM drivetrain and brakes. Vee Crown Gems offer ample traction and help keep the rubberside down. This is a solid first real mountain bike. A quality build will provide years of fun and fetch a solid resale value once the lucky kiddo has outgrown it. 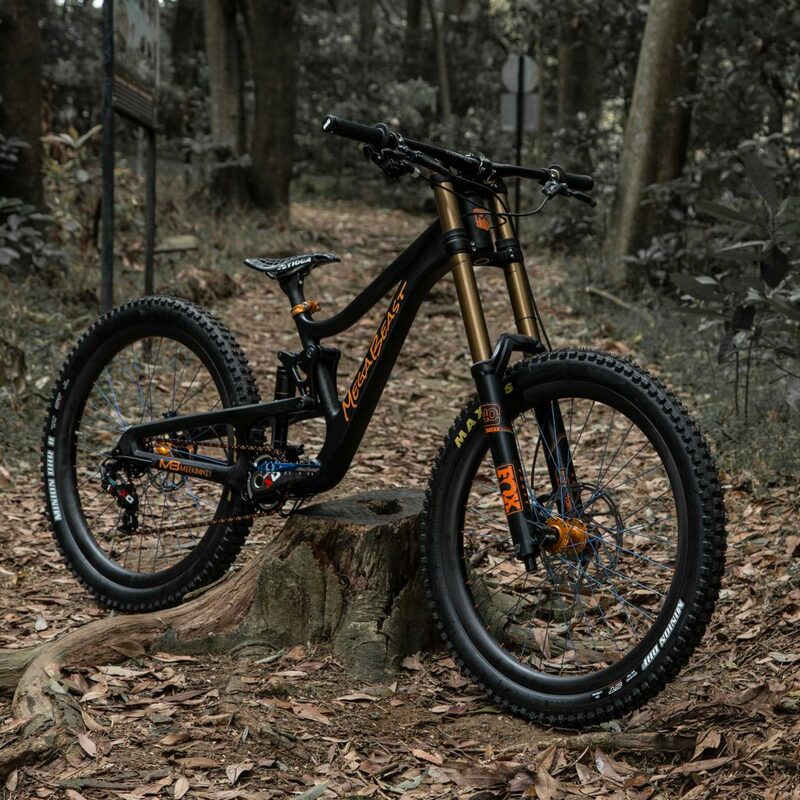 The only downhill specific bike listed here, this bike is top notch. A full carbon frame paired with Fox suspension and a SRAM drivetrain and brakes. This ride is not cheap, but if you’re looking for performance in the bike park, this is the ride. Your kiddo will definitely know he or she is loved when riding this wunderbike. Hope hubs paired with in-house, carbon rims keep the rotating mass down while contributing to an overall light build. Jumps, drops, skinnies….you name it, your kid will tame it.